Szombathely with a population of 80 000 is the seat of Vas county, located at the western end of the country at Alpokalja (’feet of the alps’), by the streams of Gyöngyös and Perint. The city, today known as the „Queen of the West”, was founded by Emperor Claudius in the 1st century, it was a provincial capital called Savaria. Since 1777, it is an episcopal seat, an important industrial and transportation center. As an important city of West Hungary, it the center of the cultural life of the region. 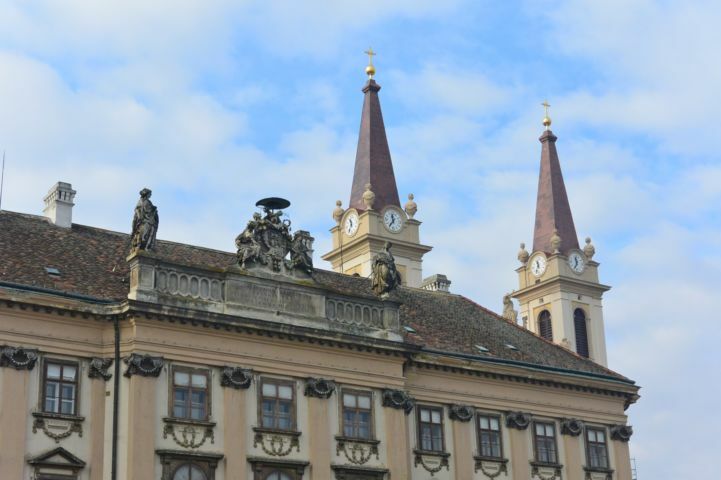 It became a theatre city again with the founding of the Sándor Weöres Theatre which has its own troupe. The cult of St. Martin is known since the time of Charlemagne; today a pilgrimage route leads from the birthplace of the saint to the other stations in his life. Every year Ancient Rome is summoned by the residents at the costume parade and marketplace of the Savaria Historical Carneval. Szombathely appears in Ulysses, the famous novel of James Joyce, whose protagonist was born in the city (probably inspired by a real person). The newly erected statue of the author stands at the main square. The Capella Savarial, performing chamber music on period instruments, is keeping old traditions alive while contestants from all over the world come to the Savaria International Dance Festival. Since 2006, the visitors can have a glimpse into the working of the ancient fort system and the everyday life of the soldiers of the time at the Historical Theme Park. At the interactive exhibition people can get familiar with old weapons: for example they can try the ballista, an important element of the Roman warfare. In the children’s playhouse anyone can become a bladesmith and try to work in a real foundry. The Temple of Isis is the representative sight of Szombathely. The cult of the Egyptian goddess Isis became popular in Savaria from 70 AD. In the 3rd century, the sanctuary was expanded, a great colonnade was built and the frontispiece was decorated with spectacular marble reliefs. After Christianity became the main religion, the temple was destroyed probably on purpose in the 370-80’s. The Garden of Ruins, excavated in the 1950’s and restored in 2010, creates a special atmosphere in the heart of the city. The coat of arms of the city is known from 1734. It depicts a castle with an open gate on a blue field. The tower of the castle has five windows and there is a golden star and a silver crescent next to it. 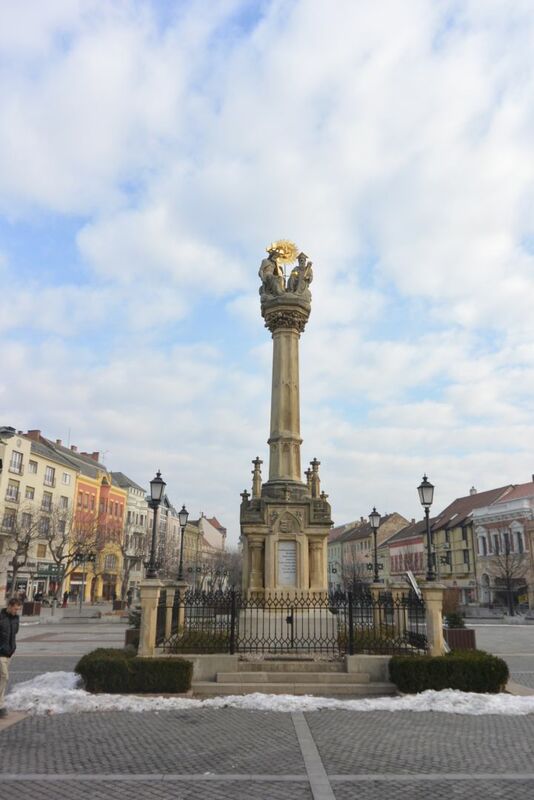 The history of Szombathely – Savaria – goes back to the classical antiquity. The city was founded by King Claudius under the name of Colonia Claudia Savariensium in around 50 AD close to the Amber Road, an important trade route. Later it became the the capital of Pannonia Prima province. Bishop St. Quirinus’ martyrdom took place here and St. Martin of Tours was born in the city. 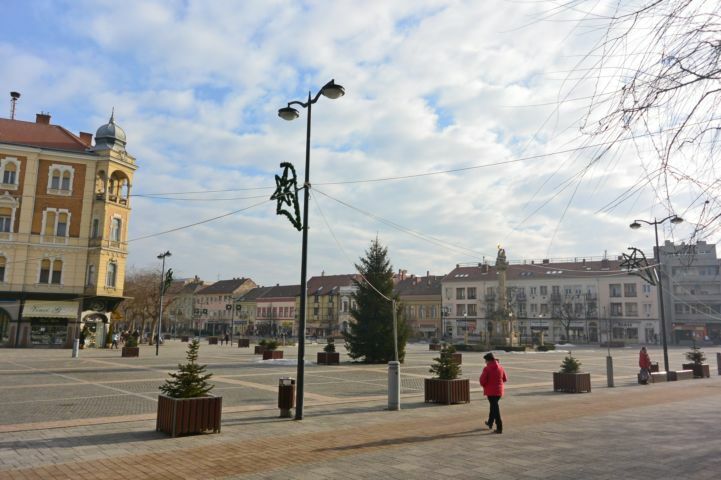 The present name of Szombathely is used since the 13th century, it refers to markets held on Saturdays ('szombat'). It gained the rank of city in 1407 and since 1578 it is the seat of Vas county. In the 18th century, Maria Theresa made it into an episcopal seat. Today, the constantly developing city became one of the economical, cultural and trading centers of Western Transdanubia. In the 19th century, it was one of the first cities where a railway was built, turning into railway junction at the beginning of the 20th century. In March 1945, the city was heavily bombed which led to many casualties and the effects on the city were visible until the 1960-70’s. Today, besides Győr, the city is one of the most important economical and cultural centers of Western Danubia, the largest railway junction and the educational center of the region. With the accession to the European Union, the city has a chance at becoming the center of the West Hungary and South Burgerland region.